Yesterday was the first time I have slipped the Viggen - SVO organic/kevlar sprung setup. Then I smelled it really good this AM when I was backing into my spot at the shop. I am going to pull the trans and check the disc wear pattern and for maybe a leaky rear main or something?? Go with a ceramic or feramic disk if you can. The kevlar disks are not tolerant to being slipped, as they have a lower heat capacity than even an organic disk. The kevlar disk in the rally car was glazed after about 10 events with the NA 8v. Saab 215/228 PP and a cheap organic disk have been fine with the high comp 16v and now the b230ft. When the rally car gets the bigger turbo, it's getting a ceramic or feramic disk just to be safe. They're about $180-250. Clutch is on the back burner until I decide what I want to do vs what my pocket book wants to do. In other news, all of this LH24/G80 speedo talk prompted me to take another look at the speedo in the car. 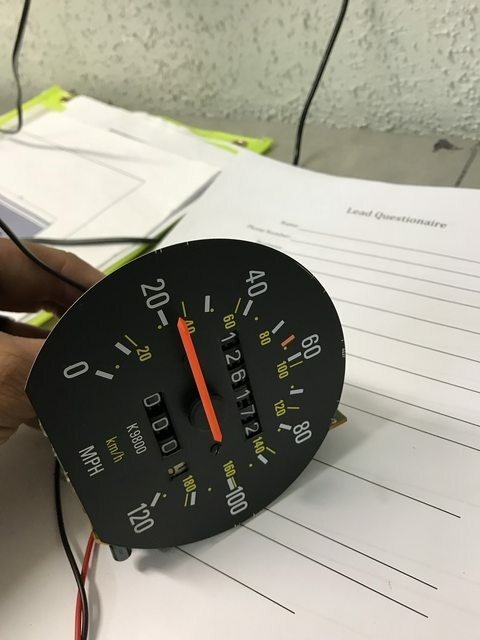 I verified working condition on the speedometer itself today using a low voltage AC power transformer, the 60hz spun it right at the 22 mph mark which according to Art is right on the money. So, I changed the elecrolytic caps to make sure it would last another 25 years, rechecked operation out of the cluster and that was good. The damn thing still doesn't work in the cluster. 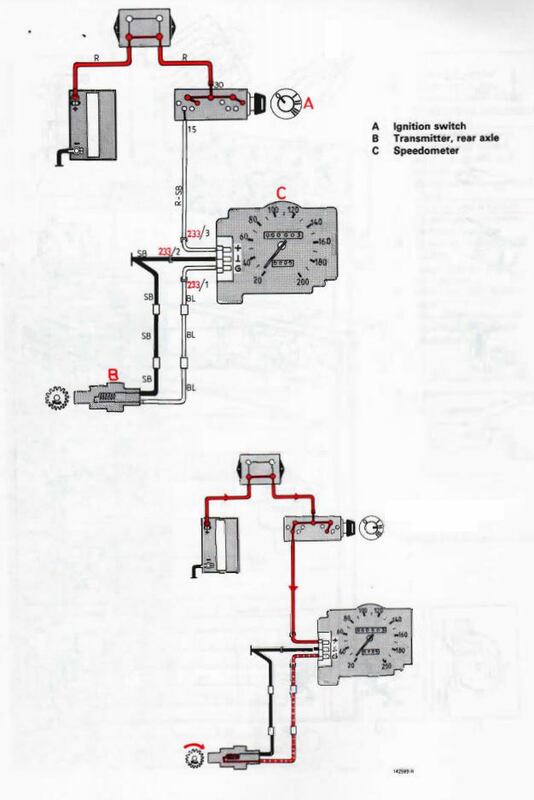 I wired up the speedo in my car according to the 1986 greenbook, however I do have a question. I ran two wires from the sensor straight to the L plug, and then tapped the R-SB wire to ignition source, does the "SB" wire need to be grounded somewhere? I was unable to deduce if there was an internal ground somewhere that I did not know about or? This is using a 240 sensor, on a G80 diff with the windows cut. So I am sorting that now as well. Yeah, that black should be grounded. does the "SB" wire need to be grounded somewhere? I was unable to deduce if there was an internal ground somewhere that I did not know about or? The wiring diagram definitely indicates that you need to earth it to the body of the car somewhere. The speed pick-up sensor needs to be earthed, the speedo itself needs to be earth, they are simply earthed at the same location to reduce any interference in the signal. 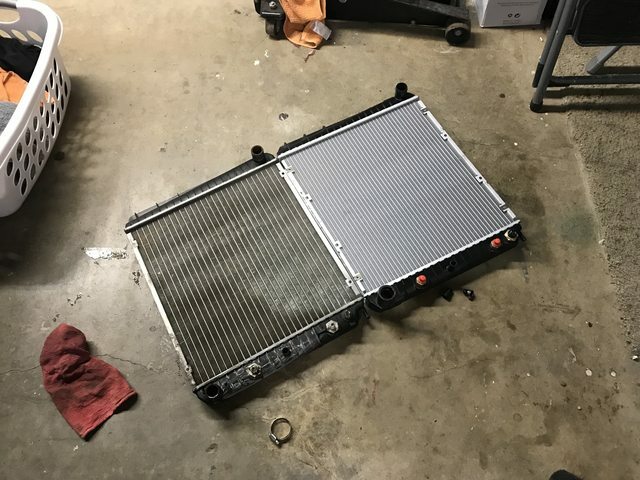 I plopped a set of quad squares on the car while I repaint the grill and surrounds. THIS is how these cars are supposed to look as far as I am concerned, but the Mrs likes the rounds, so it may go back. 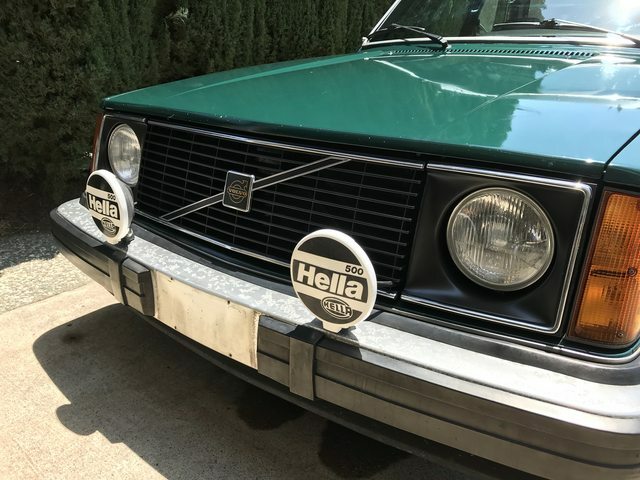 I would like to find a GL grill sometime soon. 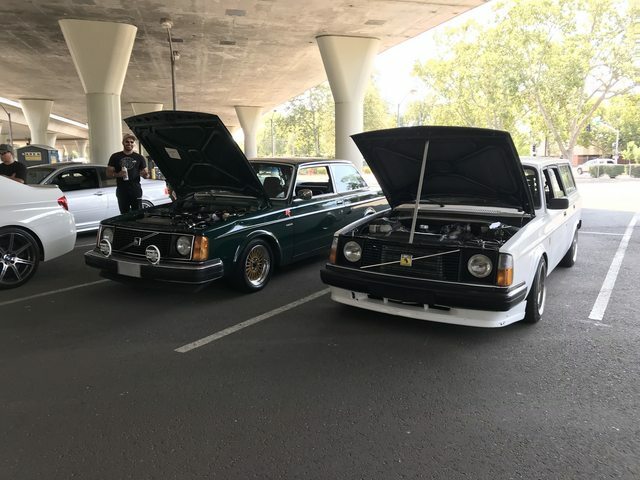 Your car will look sweet no matter which grille & light setup it has, but there is something to be said for keeping the original late single round setup. It's much better integrated into the design of the car than the early singe round design. 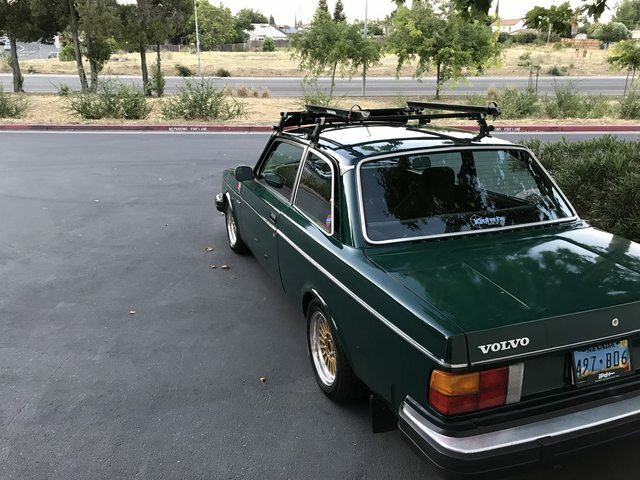 Plus it's cool that they only offered this combination of front & rear designs for 2 years (1979 and 80) if I'm not mistaken, with the smoother single round setup and the nice redesigned tail with the flat trunk and 5-panels. 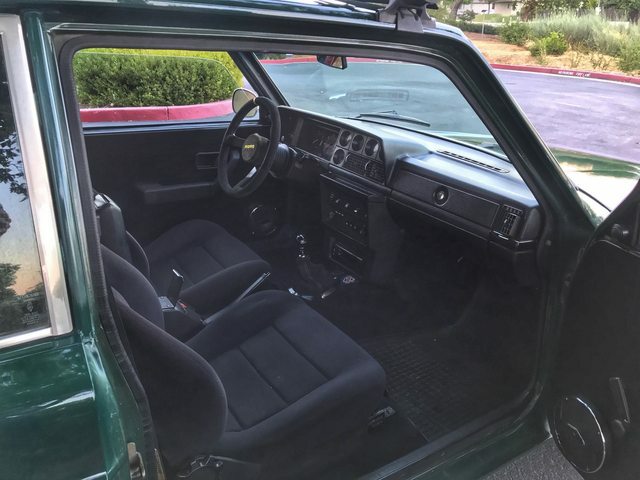 It's the "most pure" version of the 242 IMO. Best part is it took me like 15 mins to change! Quick and easy face changes ftw! I do very much appreciate this car's aesthetics, the stainless trim and commandos is what really make the look to me. I do think the quads look nice with all of the chrome trim. I need to source a flathood grill to finish this look off. From a design perspective yeah; mine is an '81 but I took what I could get at the time. 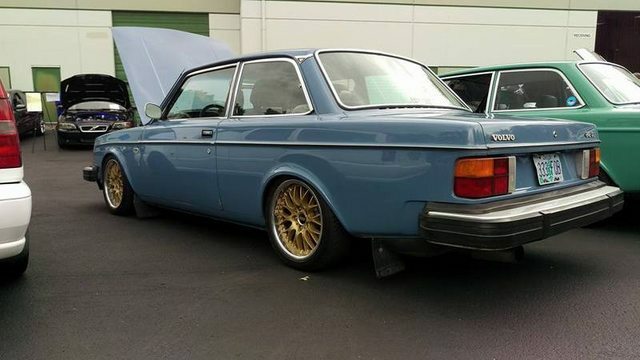 I do think looking at the whole car overall the '83 242DL is the sweet spot, and I had one of those but sold it! 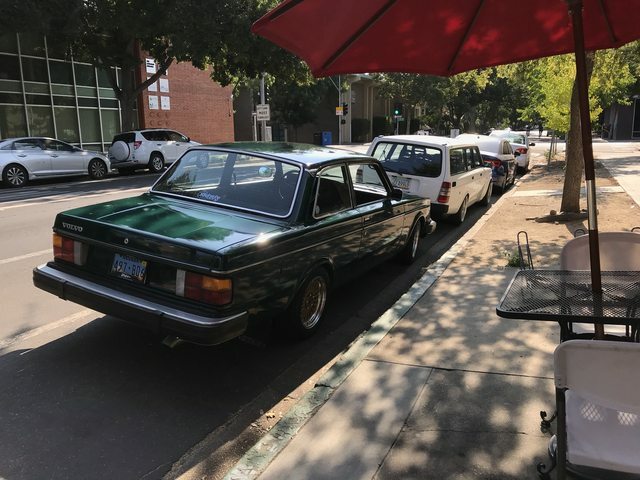 Yeah it's cool that we have the freedom with these cars to change up the look quickly and easily. 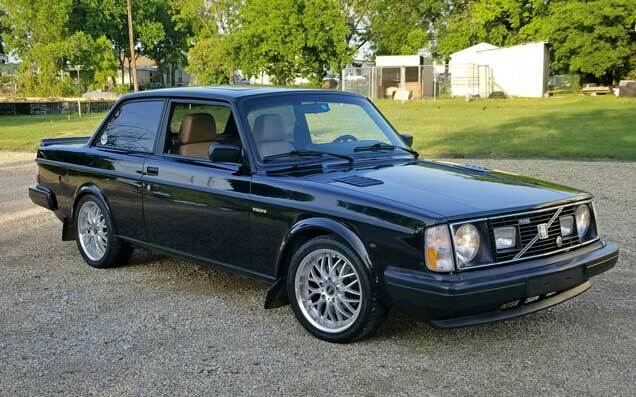 I have a flathood Turbo grille from an '83 homologation special car, and I'm not using it. I could be talked into parting with it. Send me a PM if you're interested. 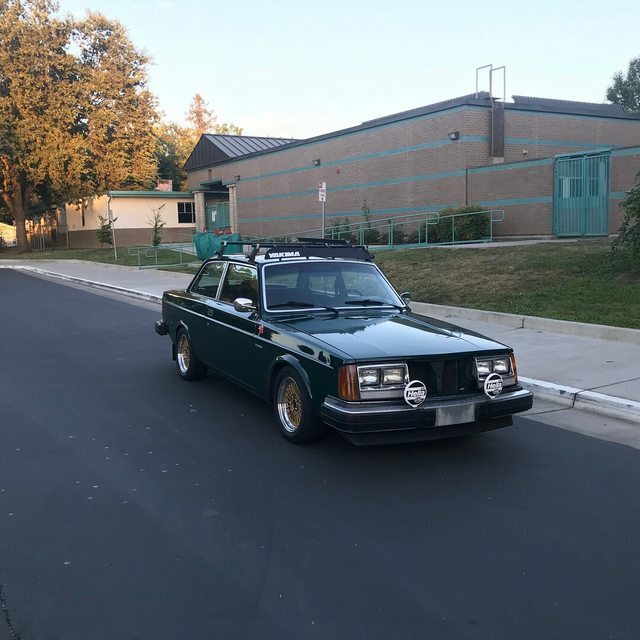 Suddenly feeling like such an outsider with my 84. 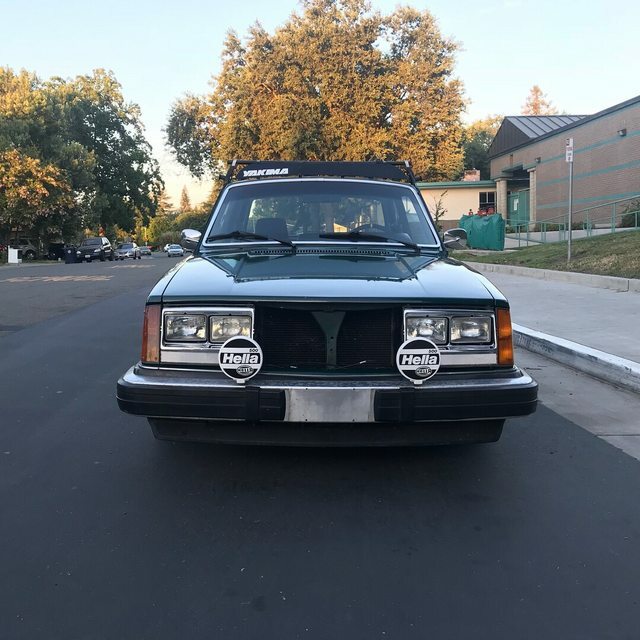 Figured if I changed the headlights maybe I could follow you guys around. 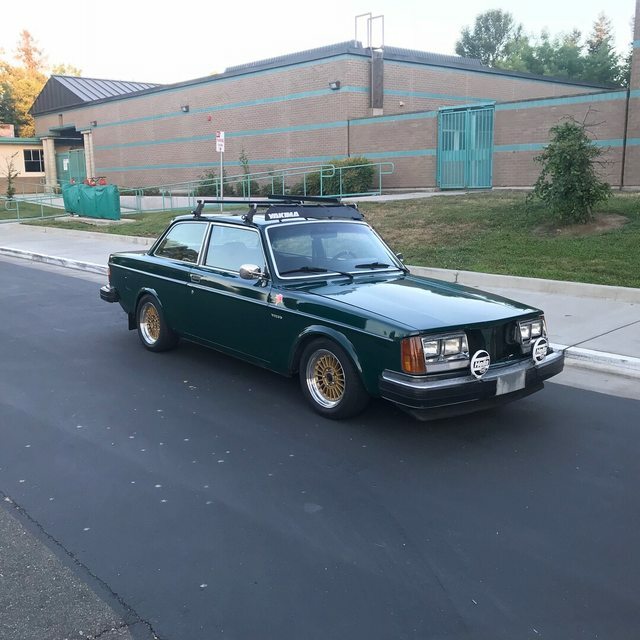 This weekend I washed and vaccuumed the car for EuroSunday meet, No real pics of that, but I do have pics of the car as it sits this morning. I put the single rounds back on while I locate a GTX style grill, but I did repaint my single round and install a fresh badge. 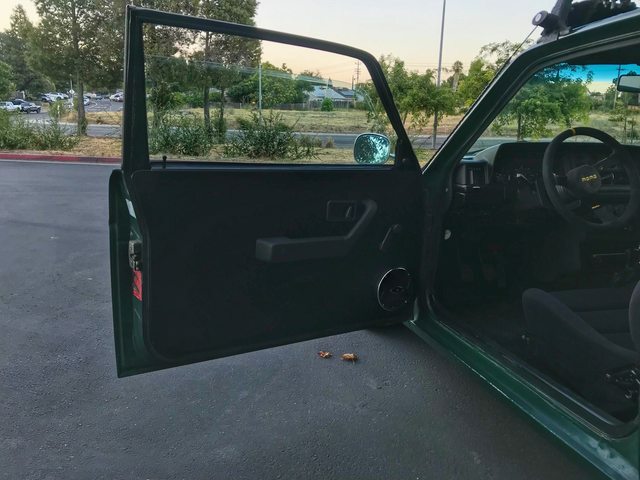 I also finished off my fabricated door cards, and added a JBL component system with crossover to compliment the 6x9 in the package shelf. 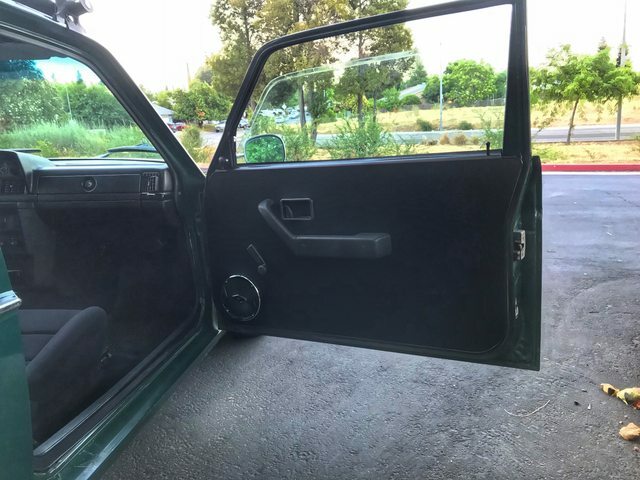 It's hard to see what's going on with the door panel. Could you take a higher res shot? I'm considering making a set of my own and I'm interested in what other people are doing. Can we all chat about the speedo a bit? If you ran two wires from the pickup to the "L" plug on the back of the speedo, and did not break out the black wire to ground, the thing wouldn't work right? Basically is the speedo grounded through the cluster or does it need a separate ground? I've tried so many combinations of parts trying to get this stupid speedo to work. I have verified the gauge works outside of the cluster, but I was unable to get it to function with my test rig after it is in the cluster. 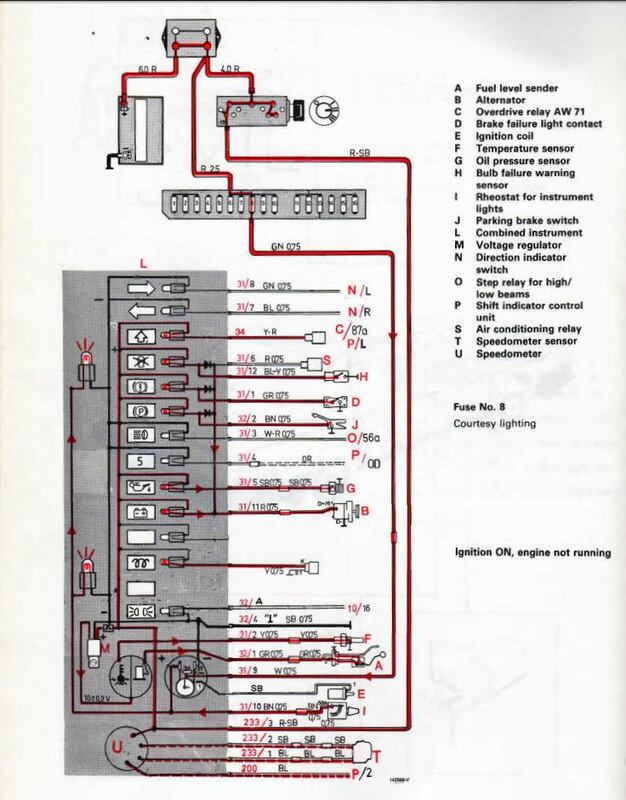 Based on the drawing below (1987 240 Greenbook) there doesn't appear to be a ground on the wires from the sensor to the gauge. I ran into a similar issue when I swapped to LH2.4. I had to run a dedicated ground, and I had to change up the pinout on the "L" connector. There are two different pinouts (iirc), but I'm not sure when/why they switched. Maybe ABS vs non-ABS? I'll look around and see what I come up with. Interesting, I pulled all new shielded wire from the diff to the dash this morning to eliminate a potential issue with the splices in the old wiring or anything like that. I will have to see if the cluster works now, but my gut says the wiring was not suspect, but the cluster circuit board may be the issue. I will double check the L connector pinout to verify it is wired correctly, that is a good piece of advice! Has a link to cleanflametrap.com that also has the wiring change noted. I have been subscribed to that thread for reference, but never went back, another good resource. 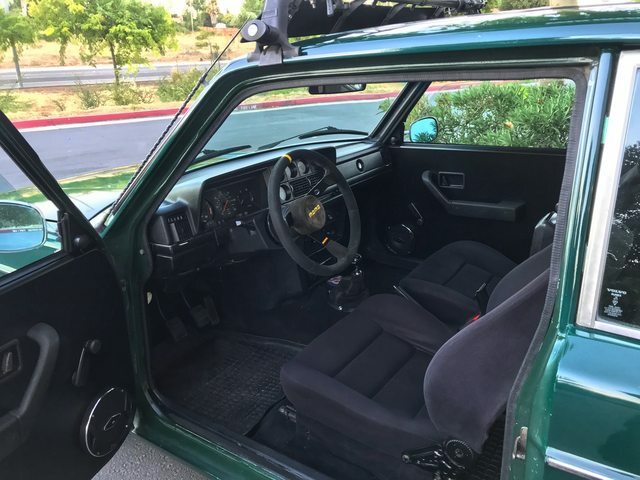 So, what could cause the speedo to operate on the bench, and then stop functioning as soon as it is installed in the cluster? I checked over the board, and reflowed some joints, but nothing is glaring. The cluster would be non op if there was an issue with the little fuse wire correct? For the record the rest of the cluster functions perfectly, just speedo inop, like I said, it works on the bench with a 12V DC power supply, and a 5v AC wall wort creating the signal, but after that nothing. So last night I decided to swap in a spare cluster to see if I could get the speedo to work, it did not, I did however find that somewhere along the line this second cluster had been modded with an interesting version of the temp faker board bypass. I have not seen a board like this. An interesting and more permanent solution to bypassing the board. 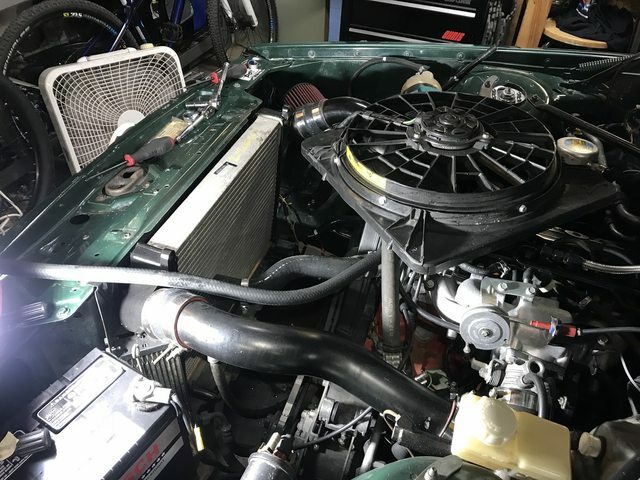 Anyways, I am still working on the speedo, I'm hoping a pal can swing by today and drop off a known working cluster for me to try some stuff with. The old one started leaking from the trans cooler fittings, which I hadn't seen before.